The BEST Keto Chocolate Chip Cookies You'll Ever Taste - Only 2g Carbs! 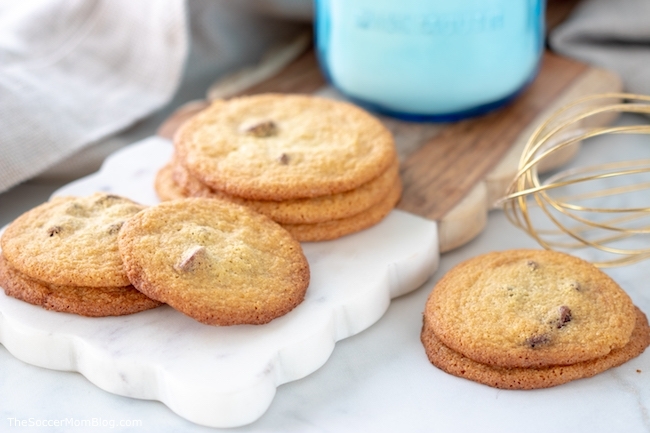 Home » Recipes » The BEST Keto Chocolate Chip Cookies You’ll Ever Taste – Only 2g Carbs! Hands-down the BEST Keto Chocolate Chip Cookies I’ve ever tasted! Easy to make, absolutely delicious, and only 2g net carbs per cookie! If you’re going to do a ketogenic diet, you’ve GOT to have a go-to recipe for keto chocolate chip cookies! My husband and I have been doing keto for a few months now, and one of the things that keeps us on track is a rotation of keto cookies and desserts. That way whenever our sweet tooth strikes, we can whip up a quick batch of easy keto cookies and satisfy our cravings, without breaking our diet! I hate the d-word (diet!!) however, I’ve got to admit, keto has been AMAZING for getting rid of the last few pounds after having my youngest daughter. Plus I feel great! And with lots of yummy things to eat like these low carb chocolate chip cookies, I don’t feel deprived at all! 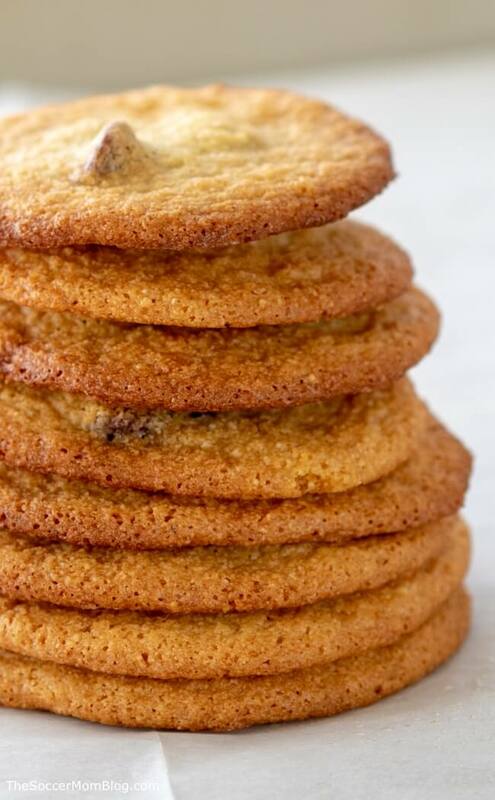 Related: Click here to see our 6 favorite keto cookie recipes! I know it’s hard to believe, but these chocolate chip keto cookies are SO SO GOOD!! The texture is spot-on, and they are the perfect combination of chewy in the middle and golden-brown and crispy on the outside. I bet you could give these to your non-keto-eating friends and they wouldn’t know the difference! The best part?? There’s only 2 grams net carbs per serving! By the way, if you’re always tempted to lick the bowl when you’re baking cookies, you’ve got to try our Keto Chocolate Chip Cookie Dough Fat Bombs! 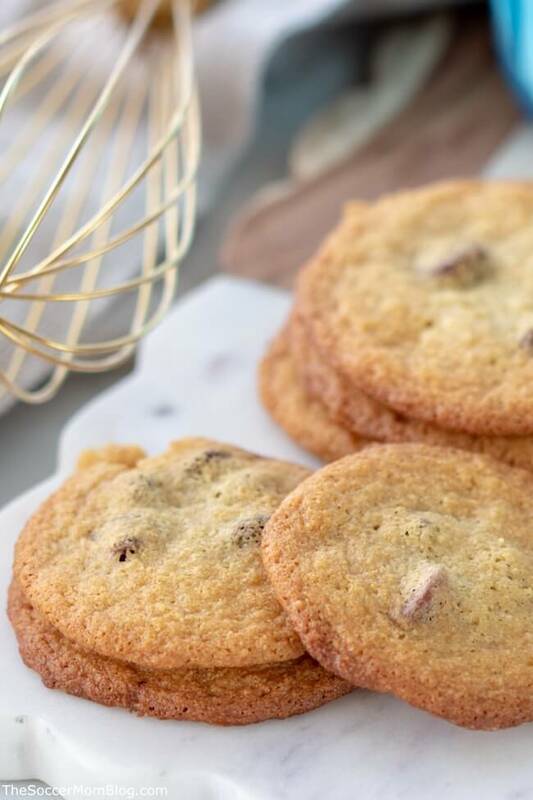 For your convenience, I’ve provided shop-able ad links to some of the ingredients and kitchen supplies used in this keto chocolate chip cookie recipe; read our disclosure policy here. First, watch our 1-minute recipe video to see how we made these easy low carb chocolate chip cookies. Then keep reading for prep tips and a free printable recipe card. 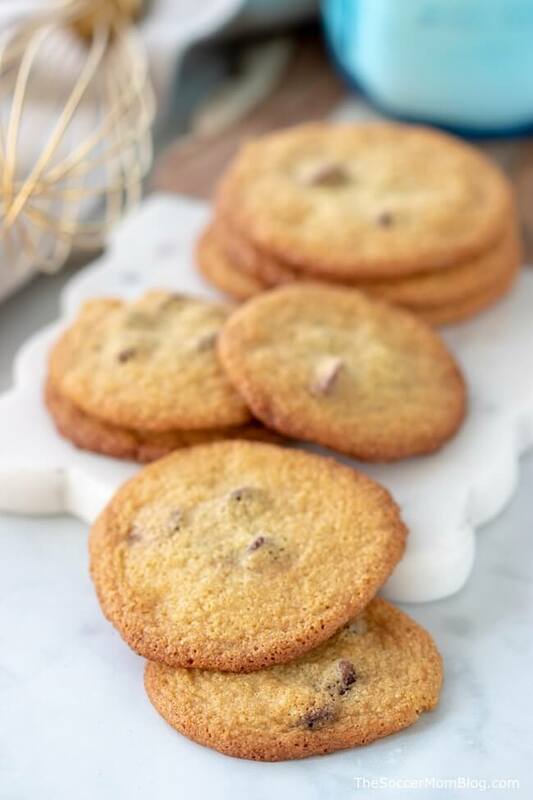 We used monkfruit sweetener for this chocolate chip keto cookies recipe because it has no funny aftertaste like some sugar substitutes and no digestive side effects. It’s great for baking! 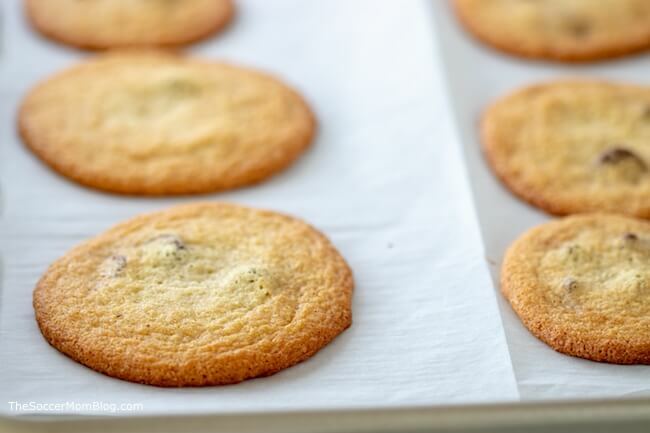 To keep the cookies from spreading as much during baking, you can chill the dough for 10-15 minutes first. Store your low carb chocolate chip cookies in an airtight container for 2-4 days. 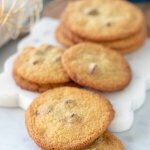 Hands-down the BEST Keto Chocolate Chip Cookies I've ever tasted! Easy to make, absolutely delicious, and only 2g net carbs per cookie! Using a stand mixer or electric hand mixer, cream butter and monkfruit sugar until fluffy. Add eggs and continue mixing. 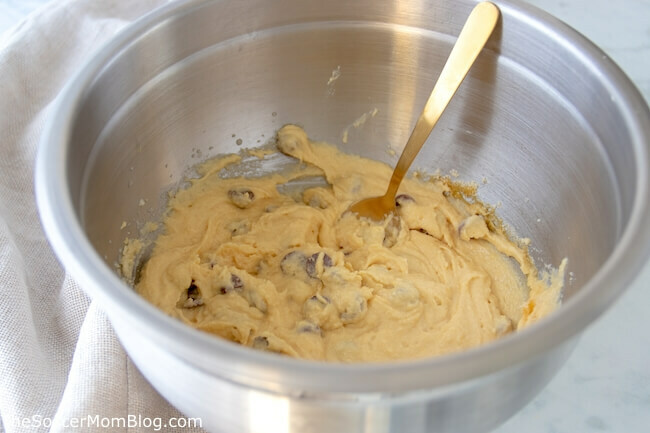 Add flour and baking soda and mix until batter is just combined. Bake 10 minutes at 375°F or until the edges just begin to turn golden brown. 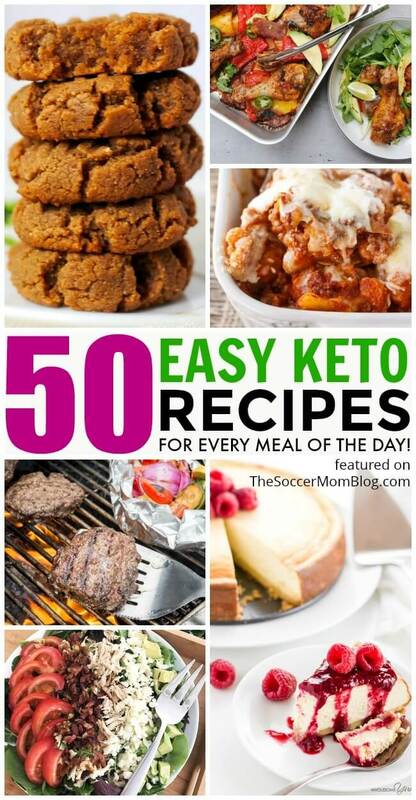 Click here to see all of our favorite Keto recipes!